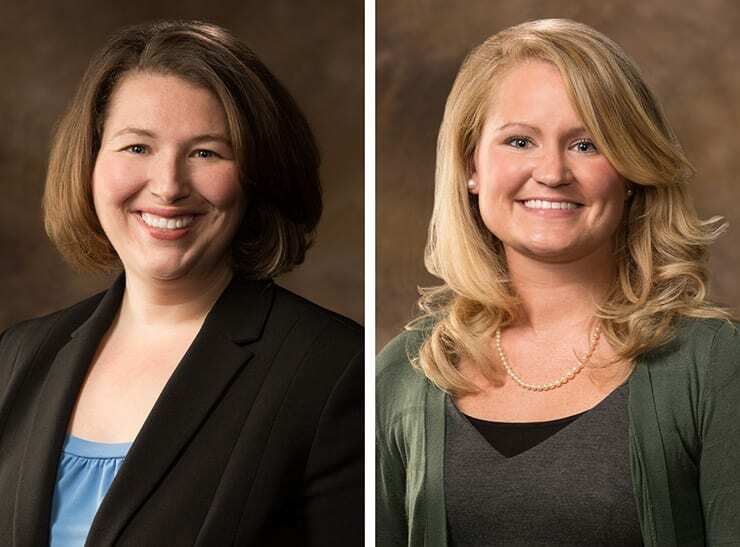 For the first time in nearly three decades, faculty from the University of Arkansas Communication Sciences and Disorders Program have been elected to serve in leadership roles on the Board of Directors for the Arkansas Speech-Language-Hearing Association (ArkSHA). ArkSHA is an organization for Speech-Language Pathologists and Audiologists. This organization offers professional development, information for job placement, networking, and legislative lobbying for the professions of speech pathology and audiology. Aletha Cook, director of clinical services in the Communication Sciences and Disorders Program, was elected to serve as vice-president-elect of continuing education for 2019-2020. A brief summary of responsibilities for this position includes coordinating arrangements for the annual state-wide convention, submitting written reports of meetings and attending the Board of Directors meetings. Cook provides differential diagnosis and treatment for individuals with dyslexia and other written language disorders. In addition, she has been serving as the state advocate for Medicare Policy in Arkansas, an ArkSHA appointed liaison position, which advocates for Medicare coverage and reimbursement in Arkansas. Cook began her three-year term as vice-president-elect of continuing education on Jan. 1. Rachel Glade, clinical assistant professor in the Communication Sciences and Disorders Program, was elected to serve as president-elect and started her three-year term on Jan. 1. Professor Barbara Shadden was the most recent U of A faculty member to be elected to this position in 1990. A brief summary of responsibilities for this position will include organizing and managing business meetings, submitting reports from meetings, serving on the Budget Committee, and representing the association in all matters. Glade provides assessment, intervention and consultations for children and adults with hearing loss in Arkansas as well as across the US, and also serves in a leadership role for Special Interest Group 7 (Aural Rehabilitation) for the American Speech-Language-Hearing Association. She has served on the board for the non-profit organization, Arkansas Hands & Voices, since 2011 and serves as a state champion for the American Cochlear Implant Alliance. Leadership roles on campus have included serving on numerous committees, serving as a faculty mentor for the UA chapter of the National Student Speech Language Hearing Association (NSSLHA), and serving as the ASHA continuing education administrator for professional development events.